-- Monika Hell seemed to have it all. She was gorgeous, owned a nice condo, an expensive car, an endless wardrobe, and had a great job as a store manager in the mall. But, she was mean, miserable, and worst of all, hated Christmas. 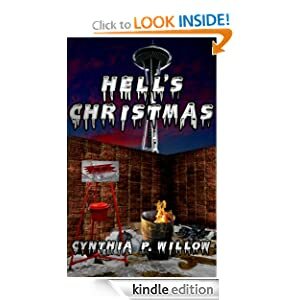 Kidnapped from the mall parking lot on Christmas Eve, her life is turned upside down. Now, on Christmas morning, she finds herself in a freezing alley with nothing but the tattered clothes on her back. With no identification, no money, and no one willing to help, Monika is forced to start all over. Could losing everything she'd worked for all her life lead her to find what's been missing all along?